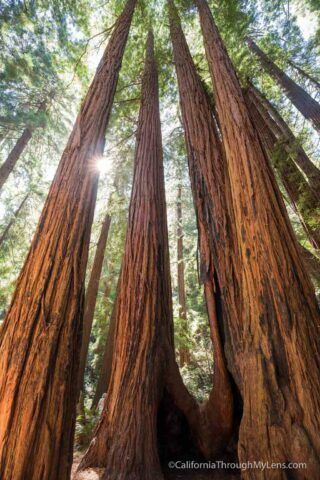 Muir Woods National Monument is a fantastic place to see redwood trees right near San Francisco. 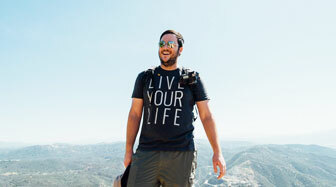 There are dozens of miles of trails and a couple incredible groves. 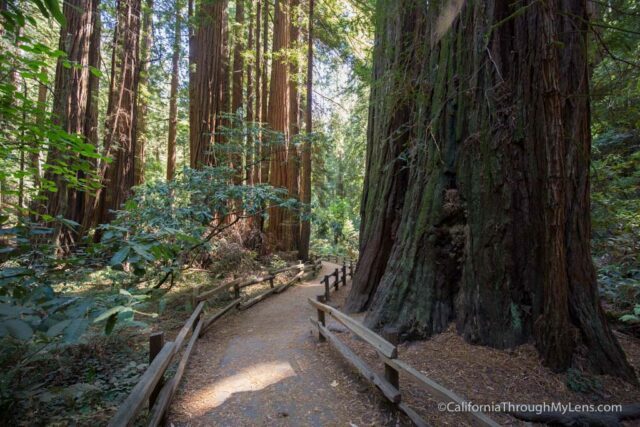 That being said, it is also one of the busiest places to see redwoods in the entire state. I highly recommend you go, but just know that going in. 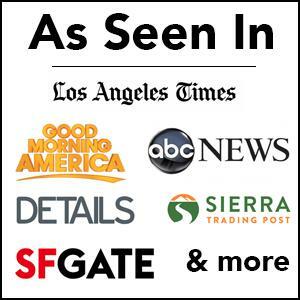 The most popular trail in the park is the Bohemian Grove Trail and here is all the information so you can check it out for yourself. 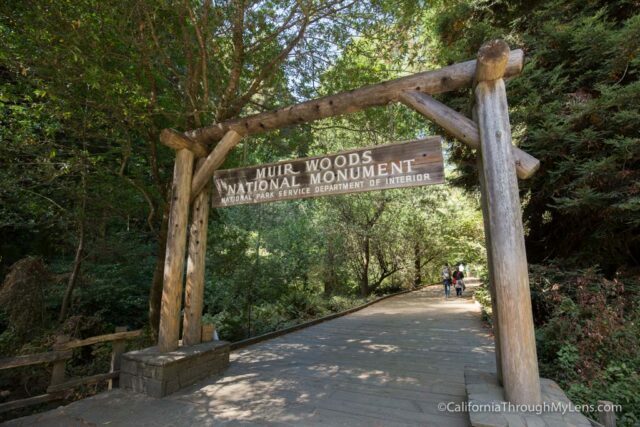 Muir Woods is located about 30 minutes North of San Francisco, and it is a popular attraction. There are signs that point you to the park when you start getting close. The final 4 miles to the park are downhill on a windy road. Be sure to take your time. When you get to the park, there is a tiny parking area near the visitor center which is typically full and an overflow lot about 50 yards down the road. If this lot is full, there is parking along the road further down as well. During the weekends it can be hard to find parking, but during the weekdays, there are usually a couple of spots. The good thing is that the parking spots turn over relatively fast since the hike is not that long, so if you have to wait you shouldn’t have to wait too long. After walking from the lot to the visitors center, you can go into the small shop they have there or just pay your fee and head to the park. 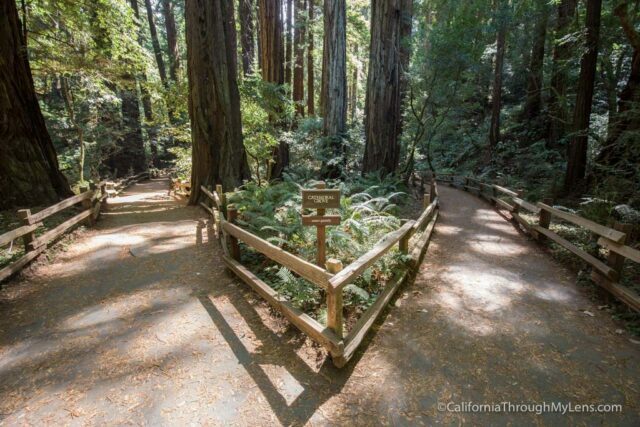 The trail starts under the wooden Muir Woods sign that hangs over the path. From here the trail walks along an elevated boardwalk for nearly the entire way. 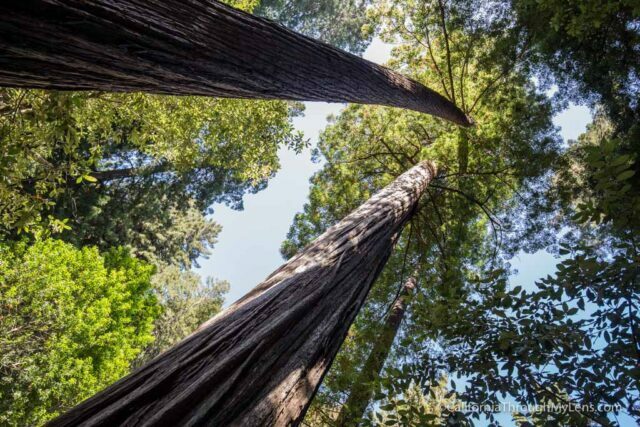 There are three main groves that you want to make sure you hit while you are here: Founders Grove, Bohemian Grove, and Cathedral Grove. 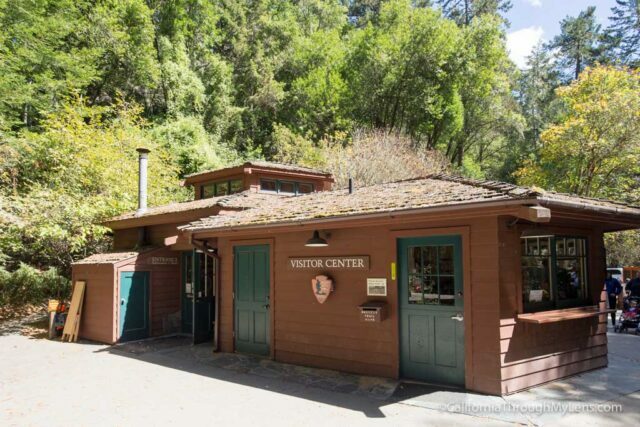 The first thing you will see on the trail though is the bathrooms, cafe, and store. I found the store to have a lot of interesting things to purchase, much more than I would have expected. I liked these 3D trees and took one home for myself. From here the trail passes the first bridge. 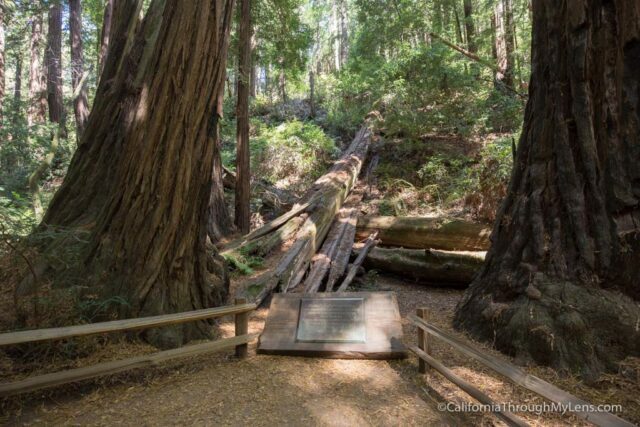 These bridges are how you know how long you have been on the trail. You can cut back at any one of them, but the trail officially turns back at Bridge 4. 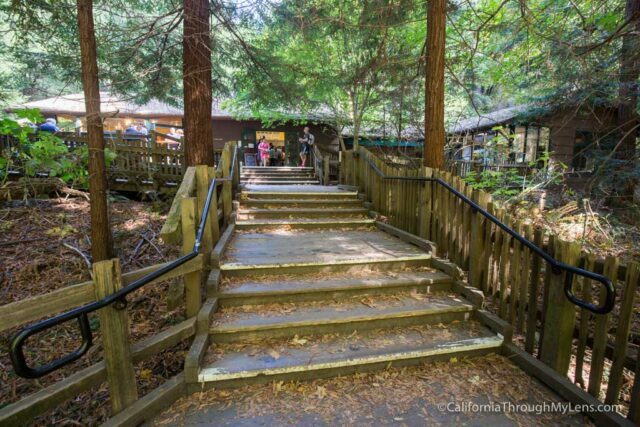 After bridge one, you will almost immediately come to Founders Grove. 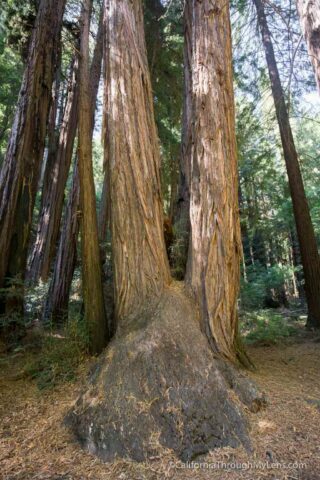 This grove has the biggest tree on the entire trail, Pinchot Tree. It is massive and pretty hard even to comprehend. 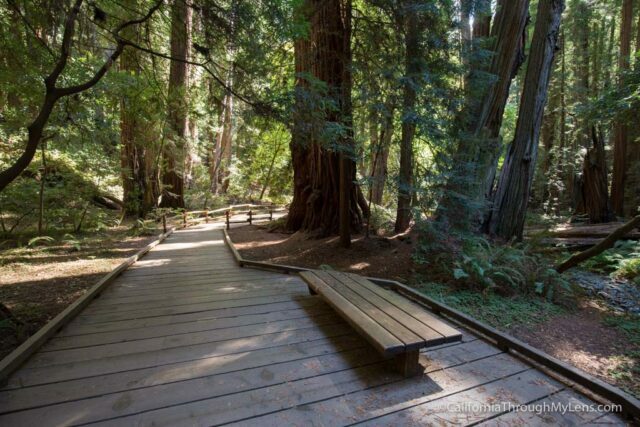 The tree is surrounded by a few other old growth redwoods, and there are benches to sit on if you want just to bask in its awesomeness. Leaving Founder’s Grove you will reach an intersection with the Canopy View Trail which takes you above the trees on a smaller trail if you have time. 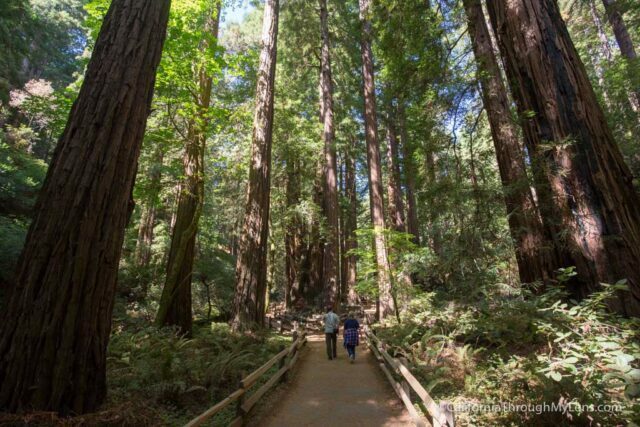 Heading on you will continue to parallel Redwood Creek to the right of you as you are going along the boardwalk under massive redwoods. The trail passes bridge two and bridge three during this section. 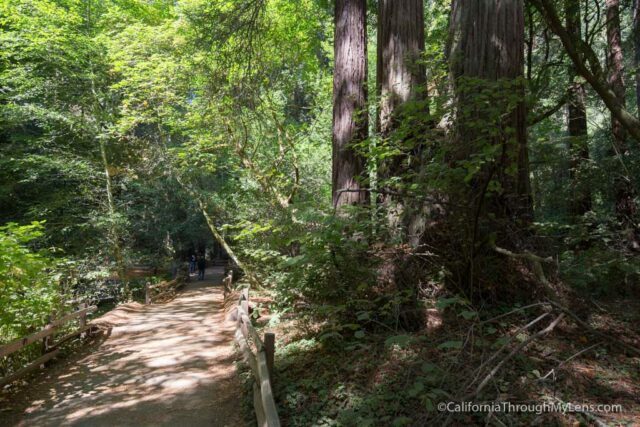 After passing bridge three, you will be in the Cathedral Grove, which is my favorite on the entire trail. 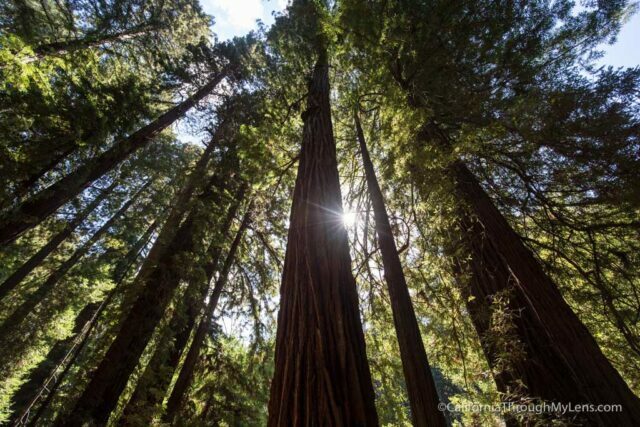 Cathedral Grove is a fantastic spot with a ton of impressive redwoods. I was blown away by how many they had here and in all shapes and sizes. A few are hallowed out, others have fallen over, and still others are towering above you. This grove is where there is a plaque for Franklin D. Roosevelt. You can spend a lot of time just sitting here and enjoying all of the trees in this grove. 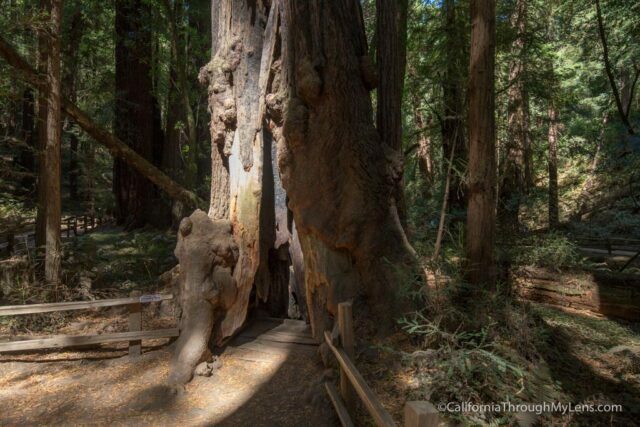 After exiting, you will notice the Cathedral Grove has two sections. You might want to walk the other section now if you plan to go back on the Hillside Trail to complete the loop. 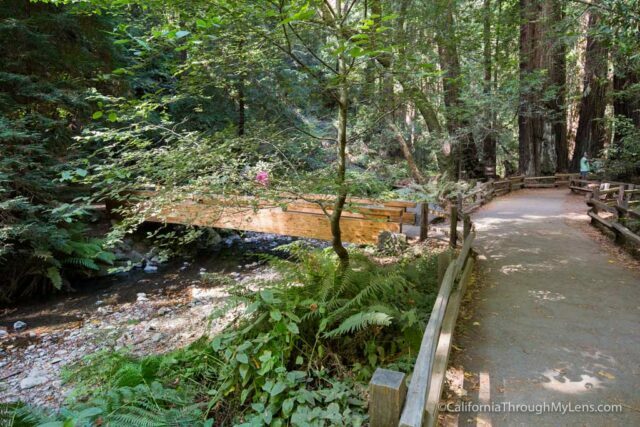 Heading on from here, it is just a lot more redwoods and beautiful forest until you hit bridge four. 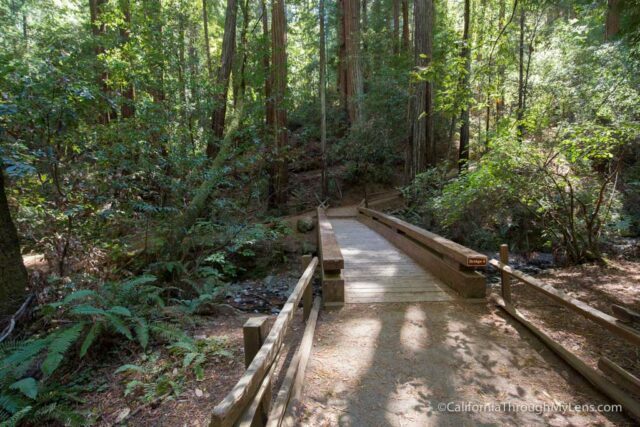 Bridge four is the turn around point, and you can either go back the way you came or head up to the Hillside Trail. I recommend the Hillside Trail if it is open, but it was closed when I went so I headed back the way I came. 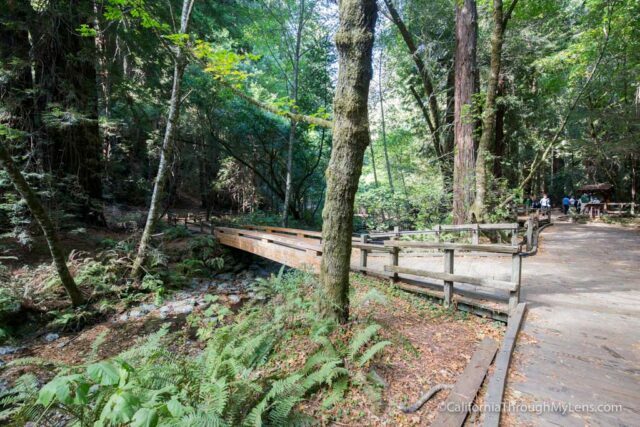 If you do this, cut across the creek at bridge three so you can walk along the other side and see the last grove, Bohemian Grove. 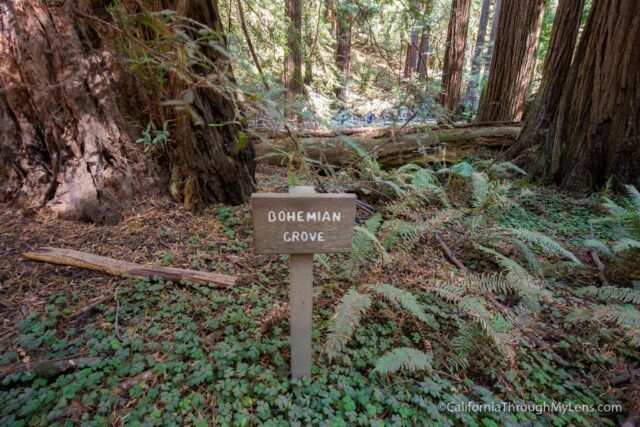 Bohemian Grove is the grove for which the trail is named. 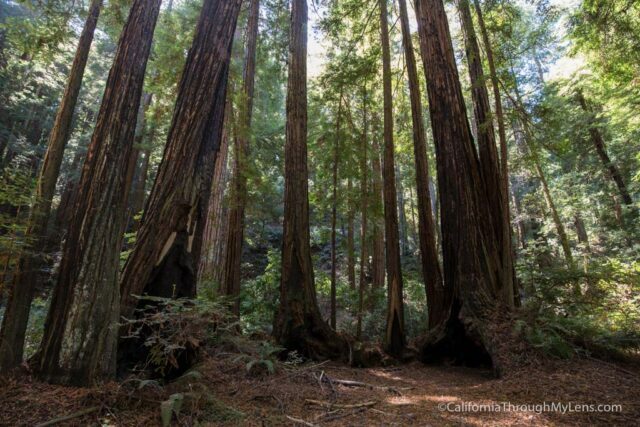 It is the least impressive of the three groves but is still has a dozen or so redwoods for you to see. This grove also has a tree you can walk into the middle of, which is fun and I saw a lot of people doing it. Heading along the grove you will see the Centennial Tree, which started growing right around when we became a country (over 200 years ago). It puts it in perspective to see how big it is in such a short period of time. 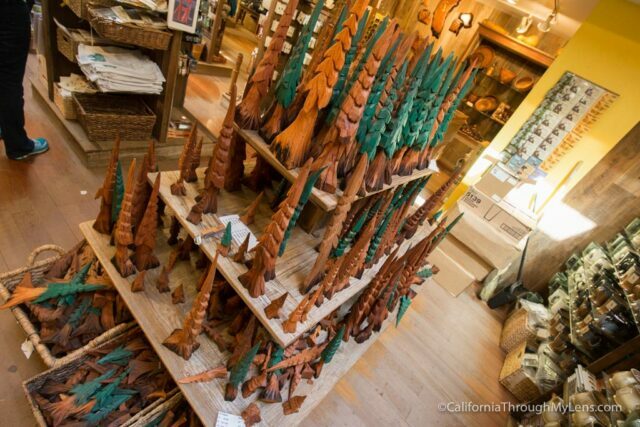 After passing this tree, you will be back at bridge one and can visit the gift shop or head out. 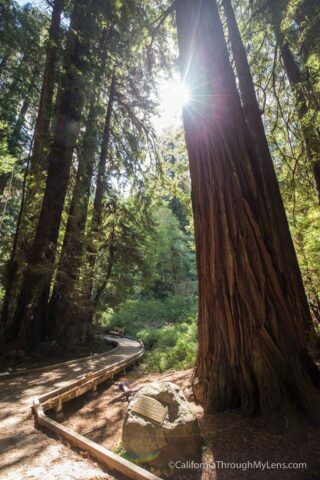 I do love seeing redwoods, so Muir Woods is a perfect place to do it. 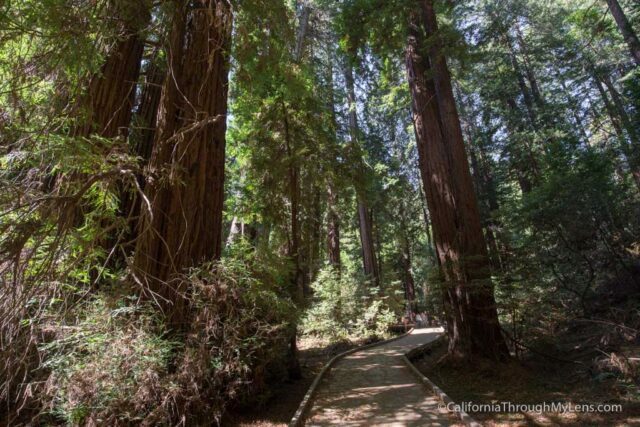 If you have time though, there are a lot of other locations in California to see redwoods with a lot fewer crowds. Read more about some of them here. 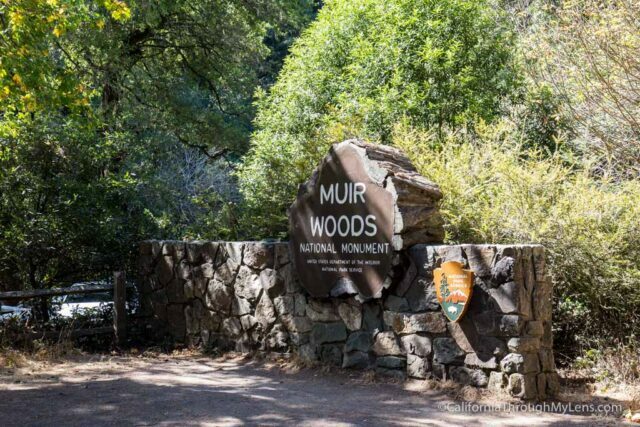 Let me know what you think about Muir Woods and if you have other trails you recommend in the area be sure to leave them in the comments.